I’ve never been so happy to be wrong as I was with The Flash. I’m still paying the price for bailing early on Arrow because I was turned off by the melodrama. I had no interest in another CW show aimed more at the Dawson’s Creek crowd than at comic book fans. Stubborn in my belief, I kept my attention on other things while my girlfriend watched The Flash on her own. On a lazy Sunday afternoon I sat at my computer writing as she clung to her tablet, earbuds in, incapable of keeping audible gasps and sighs from escaping. “Oh my God. What the hell! ?” she exclaimed as she dropped the device. “The season finale of The Flash,” she said. She couldn’t even say more and she didn’t need to. A few weeks later after some heavy Netflix binging I was where she was and it would be an understatement to say that the season finale made me cry. I wept. It was one of the single most beautiful episodes of television I have ever seen. It was the culmination of a season’s worth of well paced, intricate, tightly woven narratives that told a complete story without sacrificing a thing in terms of side plots or characters. The first season of The Flash is one of the most complete seasons of television in history, regardless of genre. Not only does the show craft a perfect balance between overarching developments and show-to-show drama, it packs the screen with lovable and hateable characters, deep-cut cameos, mountains of love for the source material and its fans while still appealing to anyone entering this universe for the first time. The blend of real emotion – expressed beautifully by writer Andrew Kreisberg drawing inspiration from his real-life tragedies – and self-aware humor make The Flash a welcoming show to all audiences. When you add in the spectacular special effects and set-piece action sequences, there is really nothing that this show doesn’t offer. I can’t think of anything wrong with The Flash. 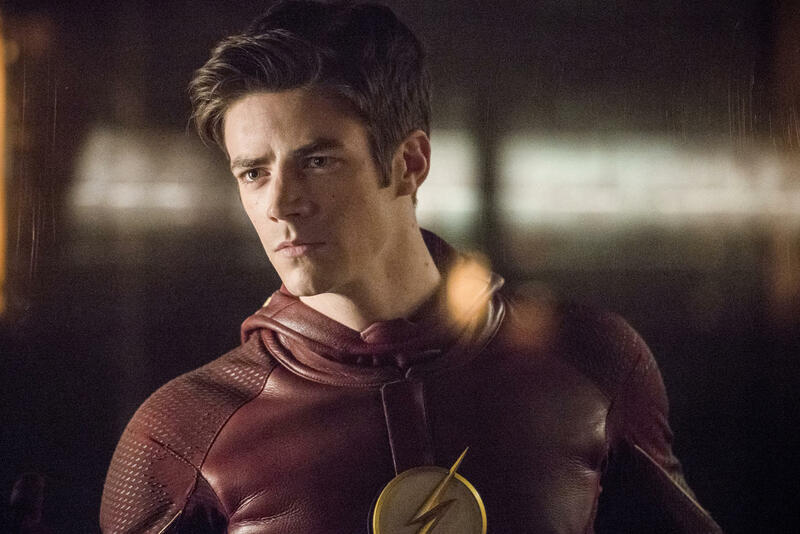 It is limited in some ways by being on network television and when Barry Allen isn’t running around, the show looks a lot like almost any other show. It is a little goofy and simple at times, which usually comes off as charming but occasionally steers toward that Dawson’s Creek problem I was talking about earlier. I would argue that Grant Gustin delivers an award caliber performance but the rest of the cast simply does a very good job, rarely asked to do too much. That is, until Season Two. Those are awfully nitpicky complaints – we are at that point of the list – but brought up because the content higher on the list goes the extra mile in these areas. Still, we are talking about the difference between well above average and elite. The Flash is an unapologetic celebration of everything that is wonderful about comic books. It outright rejects the false dichotomy between dark, gritty, and insightful versus fun, light, and enjoyable. It is all of those things. It may be the best show on network television right now and it may be the most accessible comic book adaptation of any variety ever. There is no one who this show isn’t for. Beautiful storytelling at its finest, The Flash is a testament to the notion that these characters are our version of Hercules and Odysseus. It taps into the soul of the stories that tap into the better selves inside of all of us.